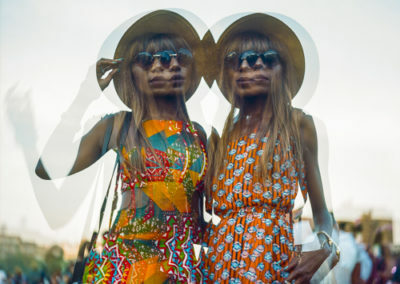 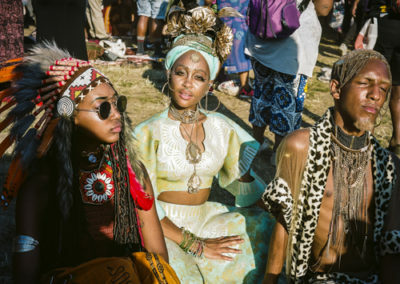 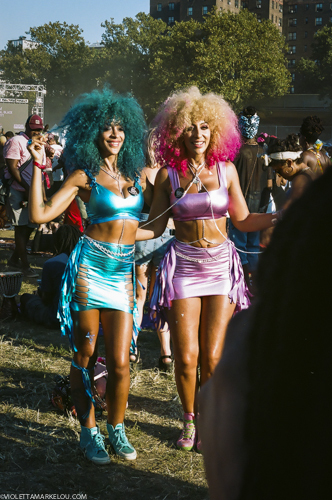 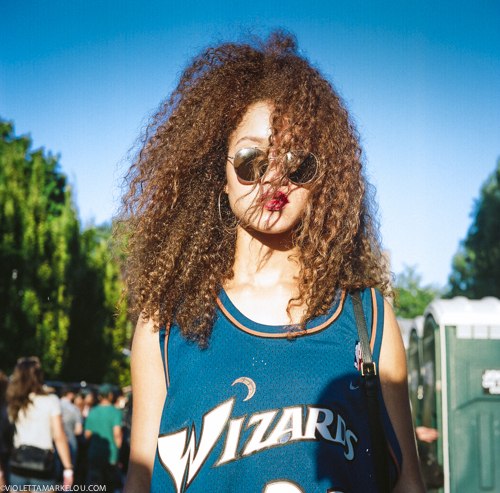 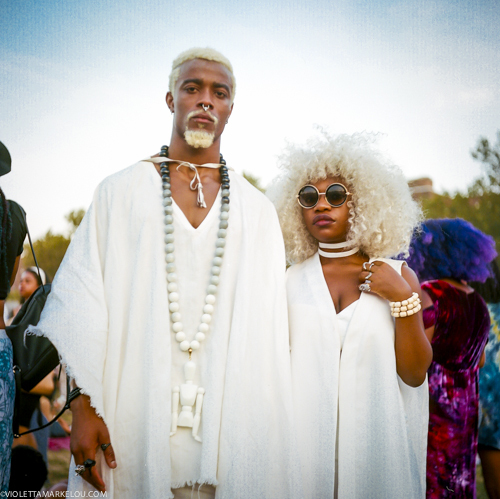 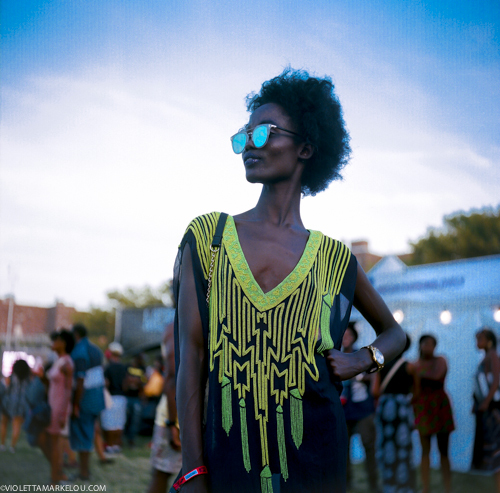 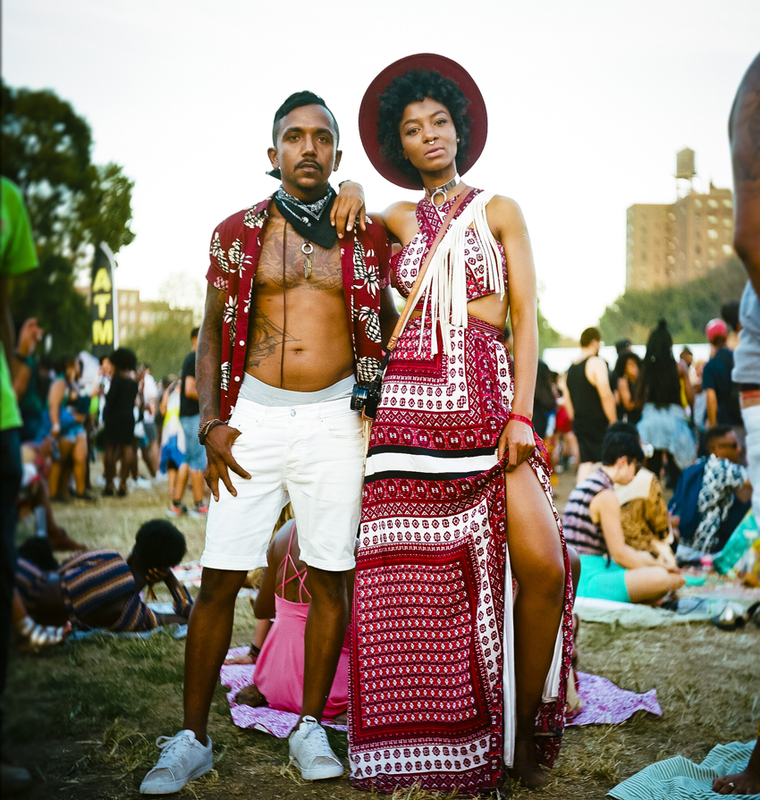 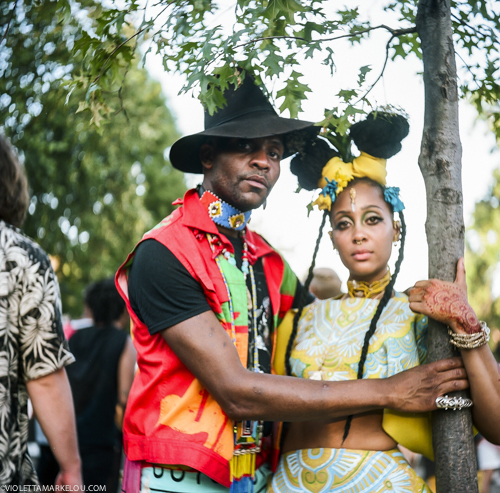 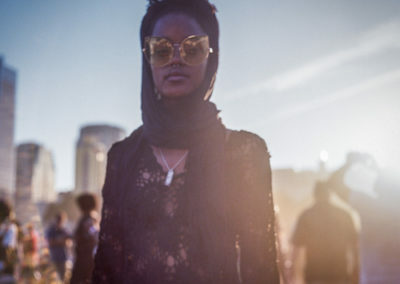 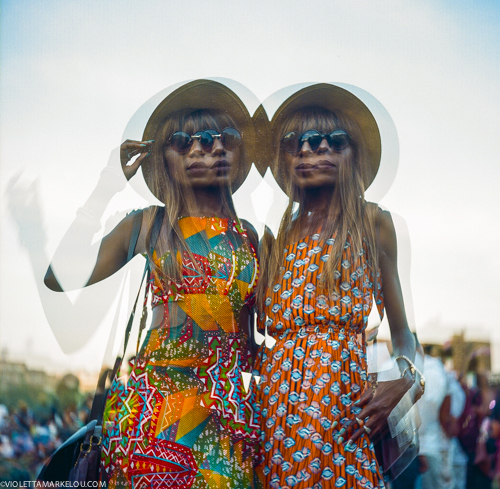 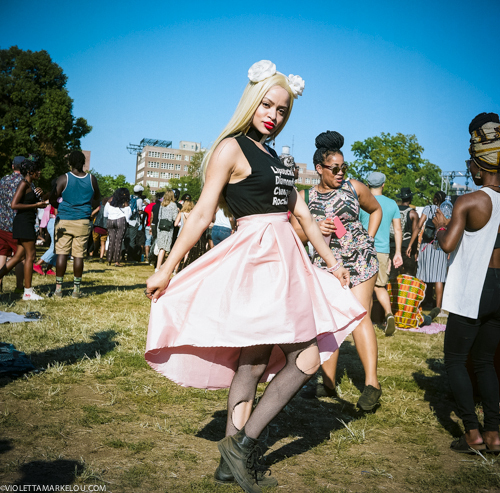 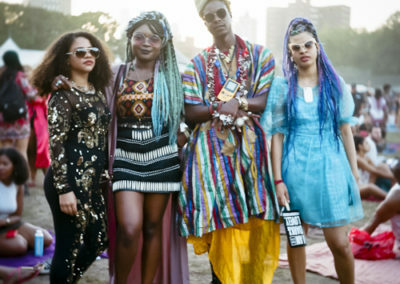 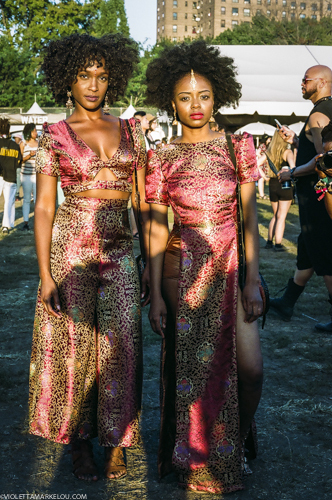 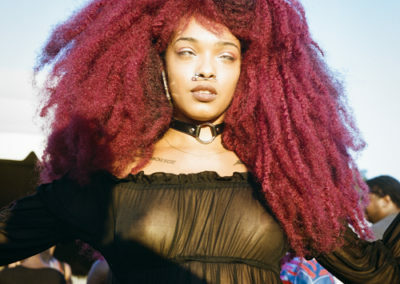 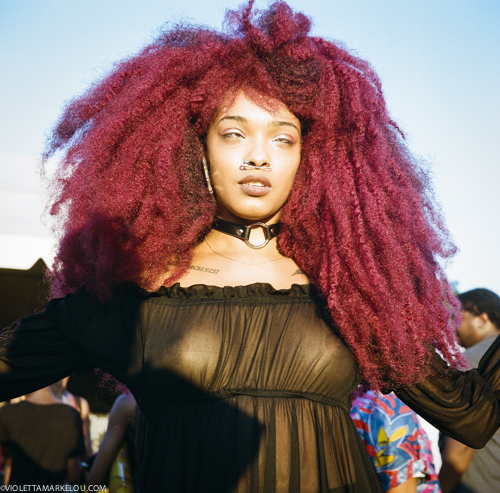 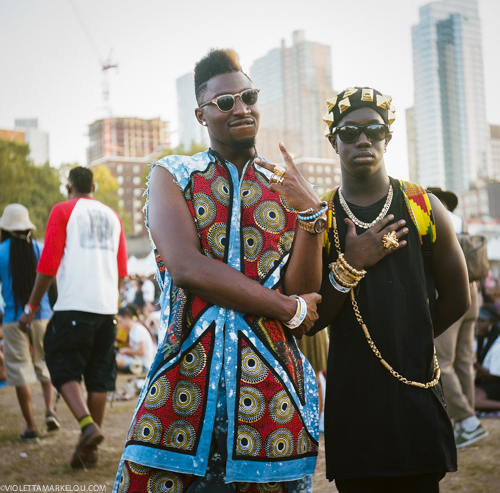 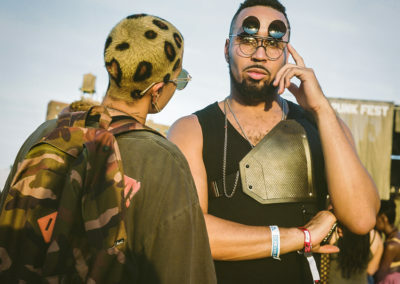 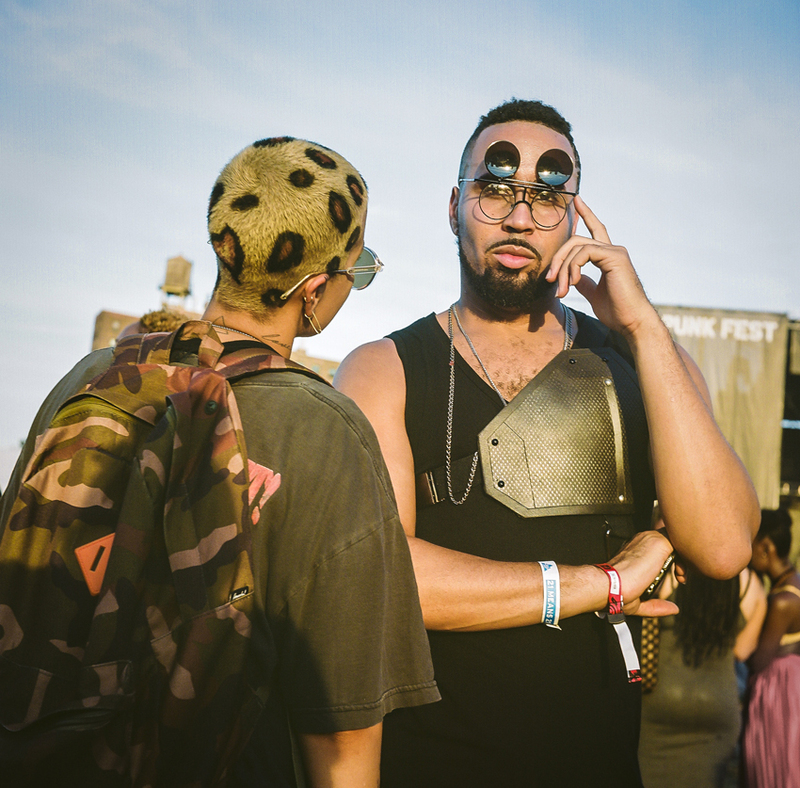 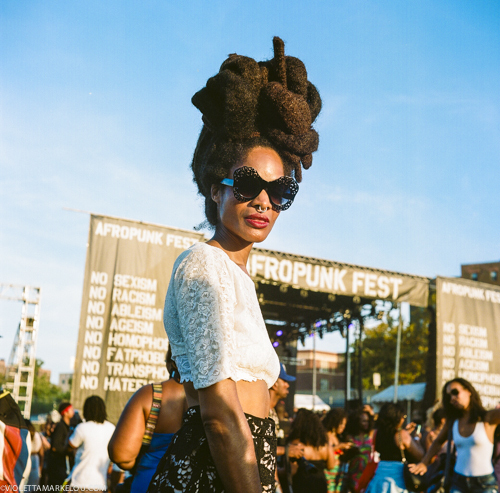 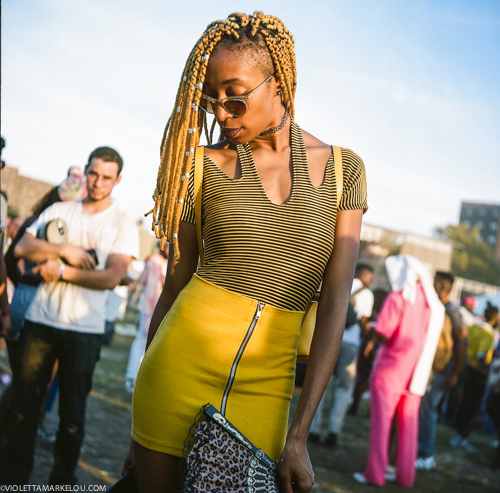 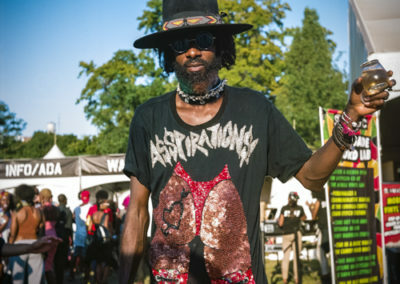 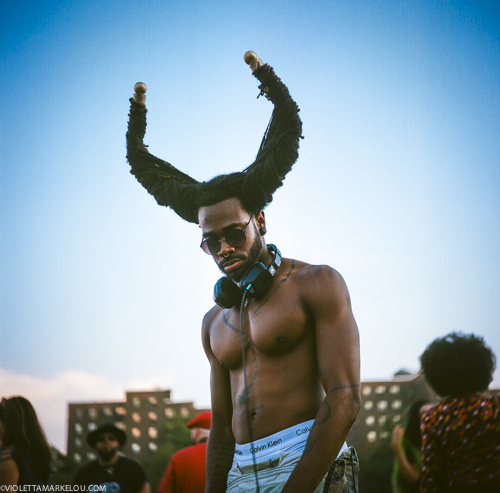 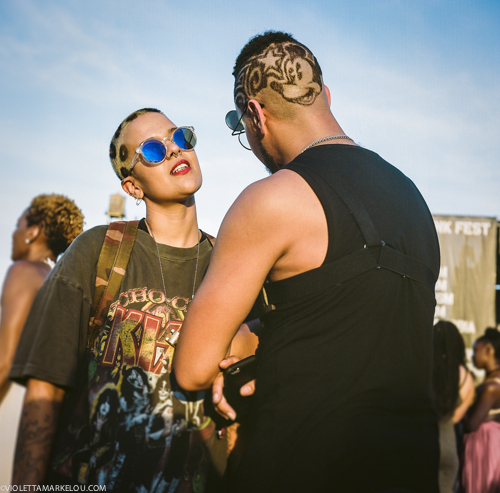 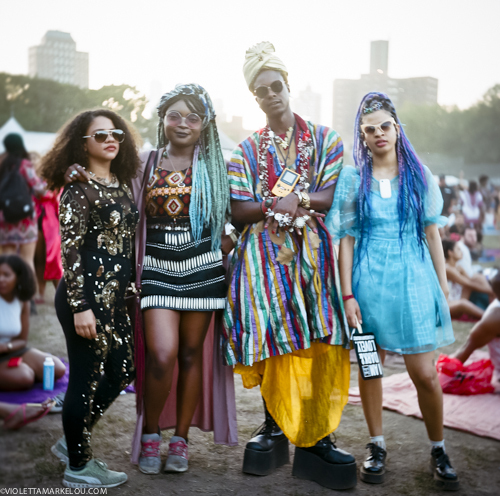 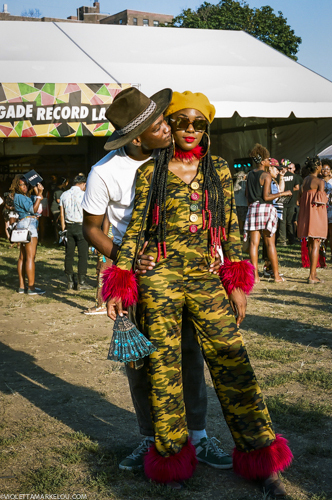 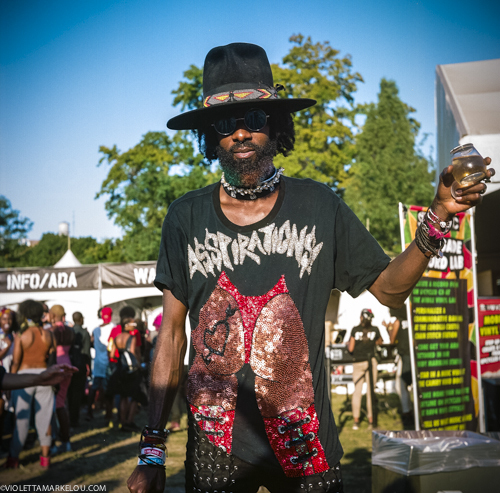 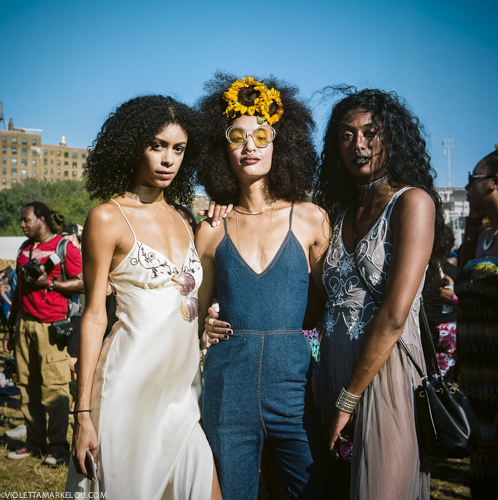 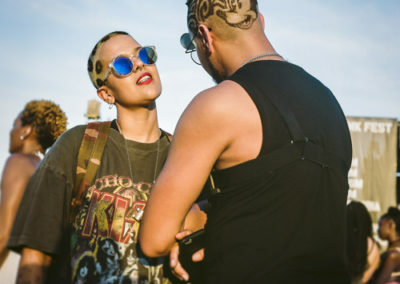 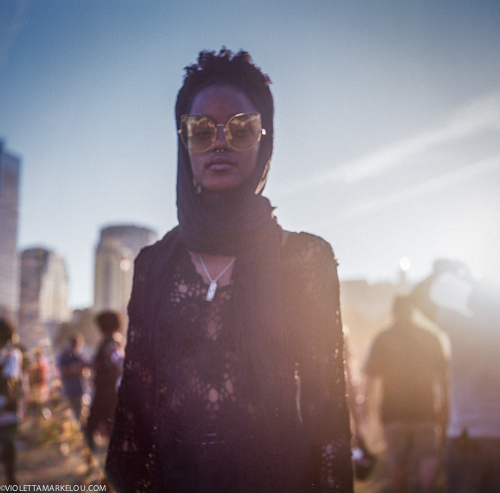 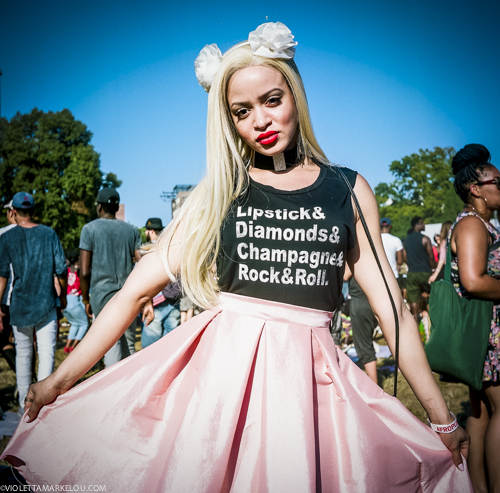 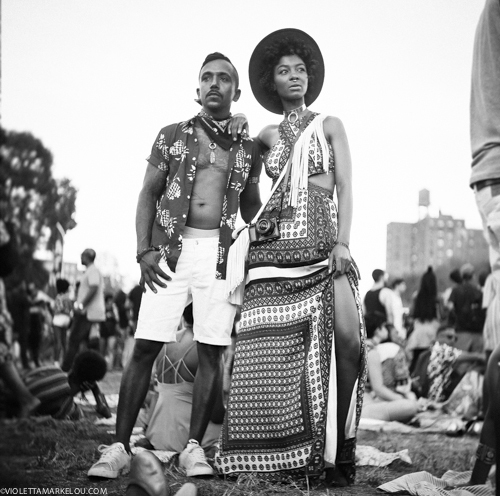 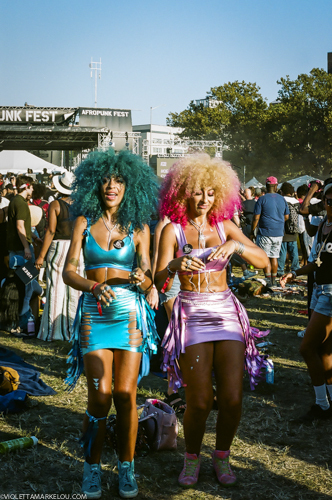 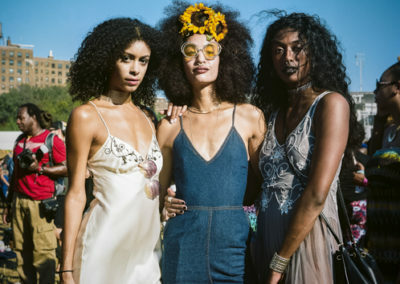 AfroPunk festival 2016 was hotter, more crowded and even more stylish than last year. 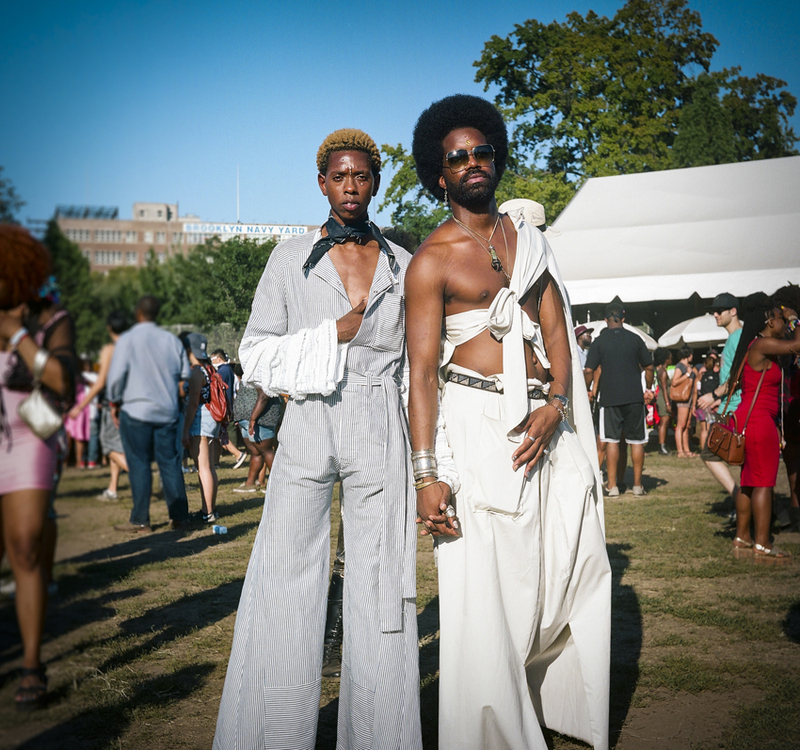 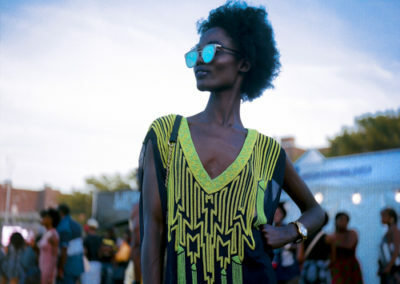 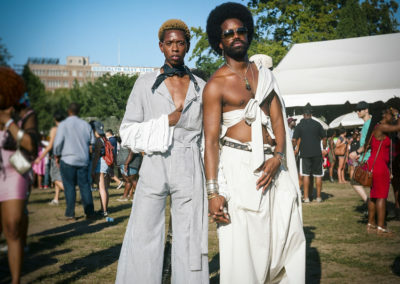 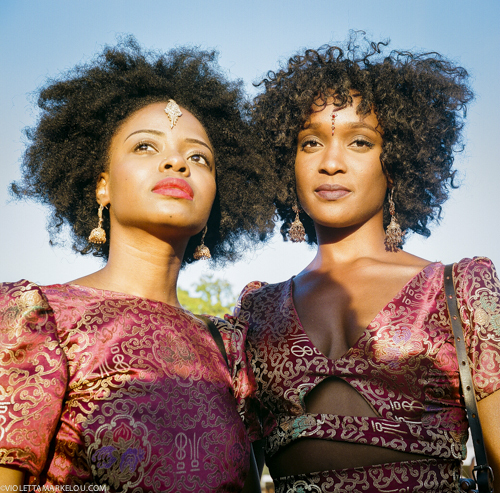 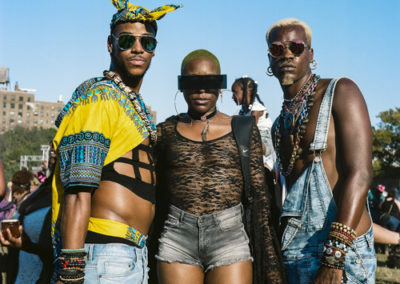 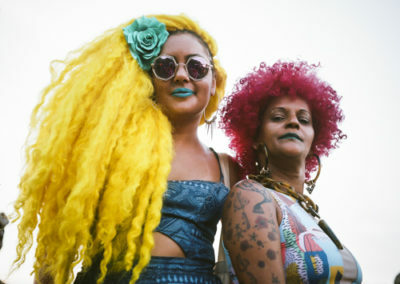 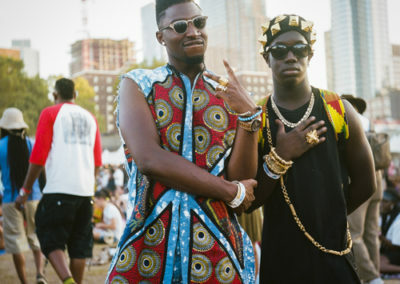 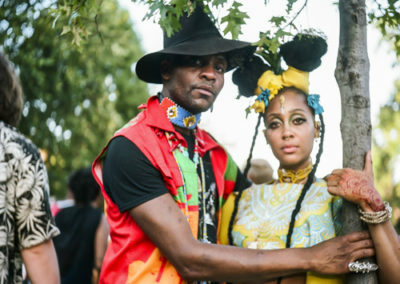 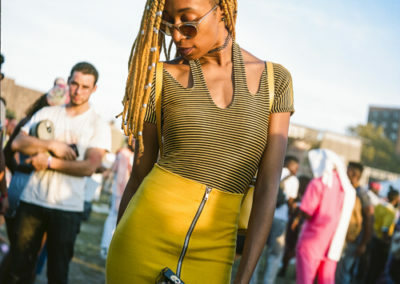 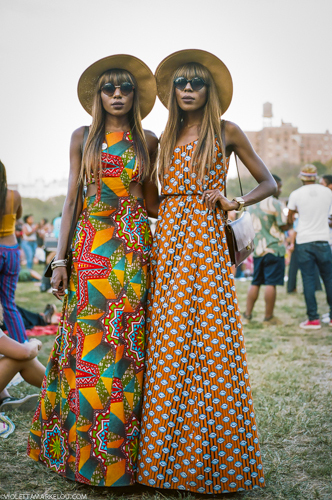 Thousands descended on Commodore Barry Park in Brooklyn to celebrate the culture, style, music and spirit of AfroPunk. 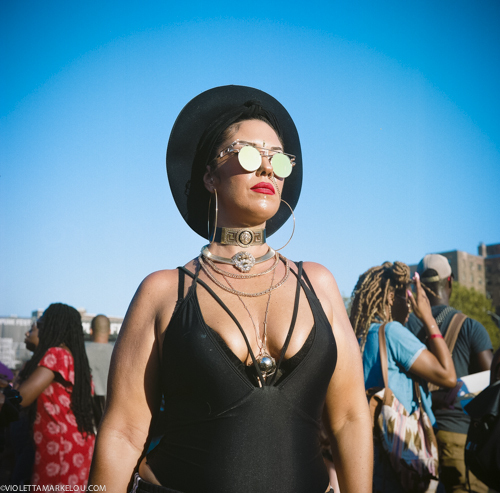 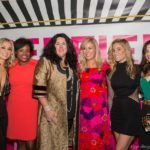 Since my first time going last year, I vowed to make the trip every year to document the abundance of beautiful women and men of all shapes, shades and sizes. 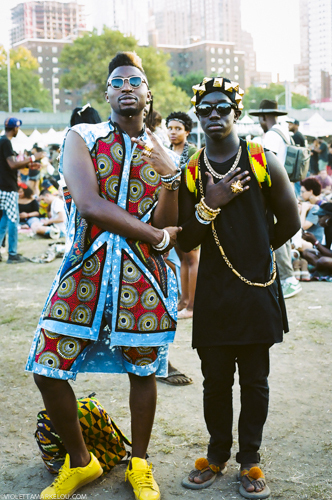 As expected, there was no shortage of sartorial feasts everywhere you looked. 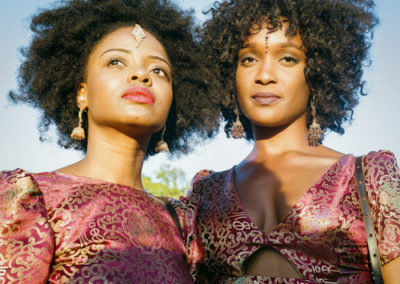 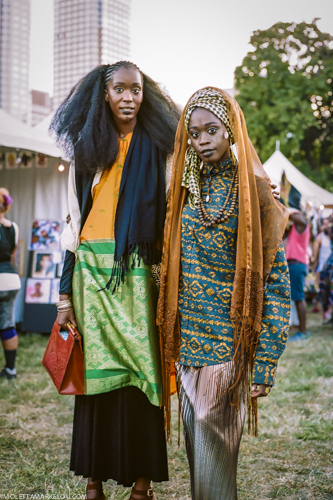 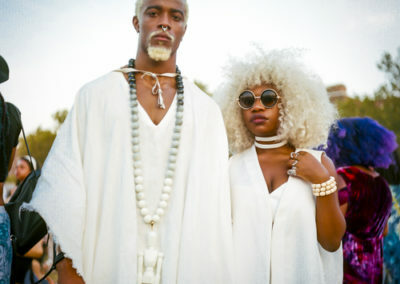 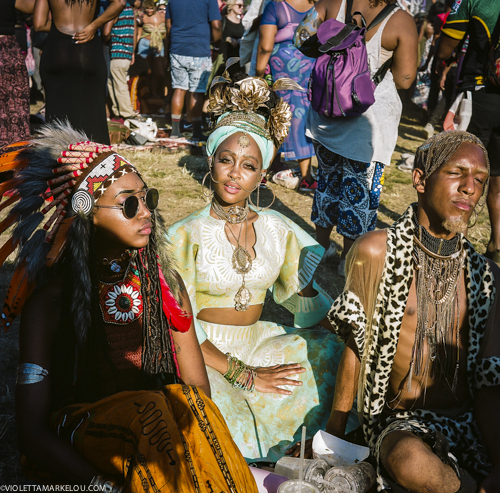 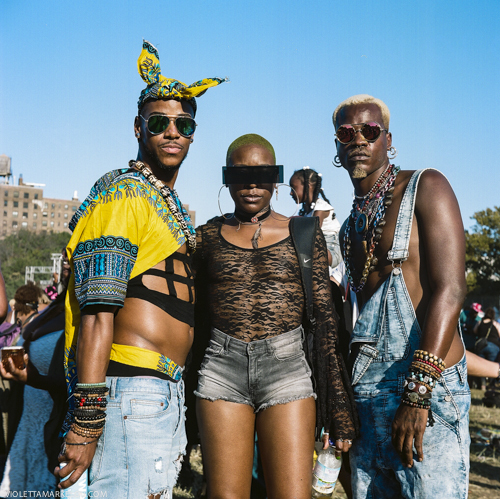 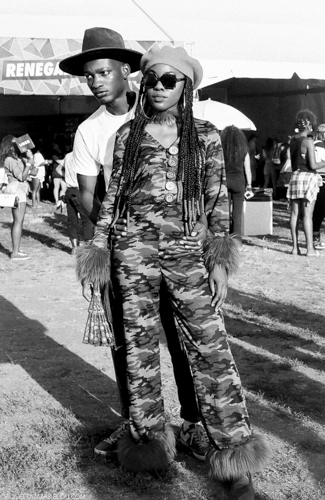 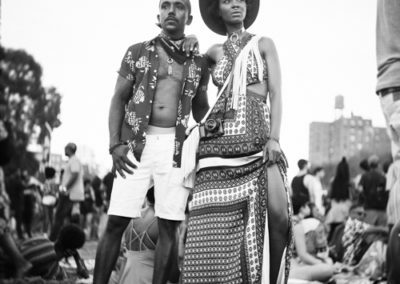 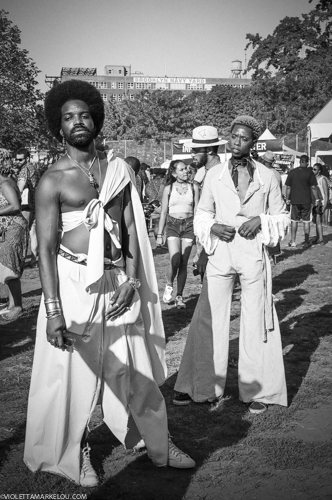 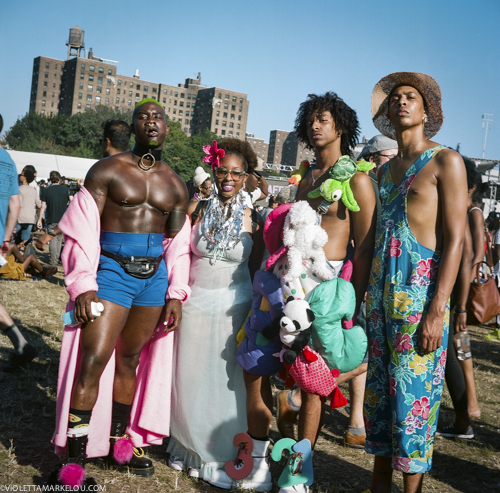 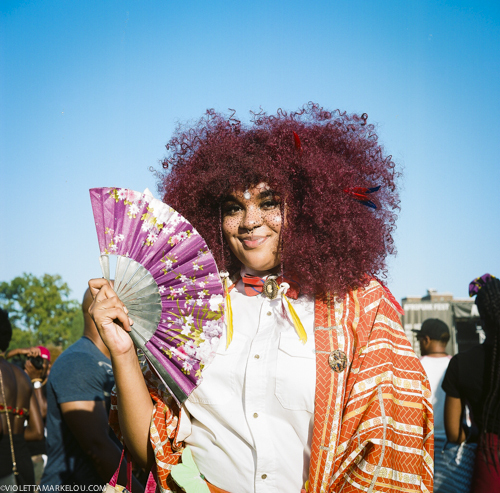 From hippy-bohemian-African goddesses to young men in handmade outfits with stuffed animals attached, AfroPunk was worth the trekking in 90+ degree heat with not one but two film cameras! 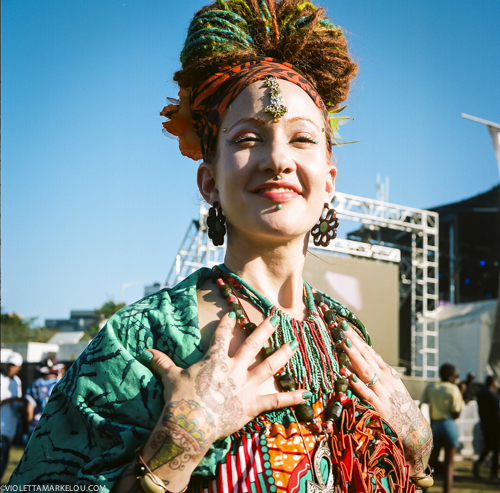 I am continuing to work with my Yaschica D medium format camera and this year I also brought a Canon 35 mm. 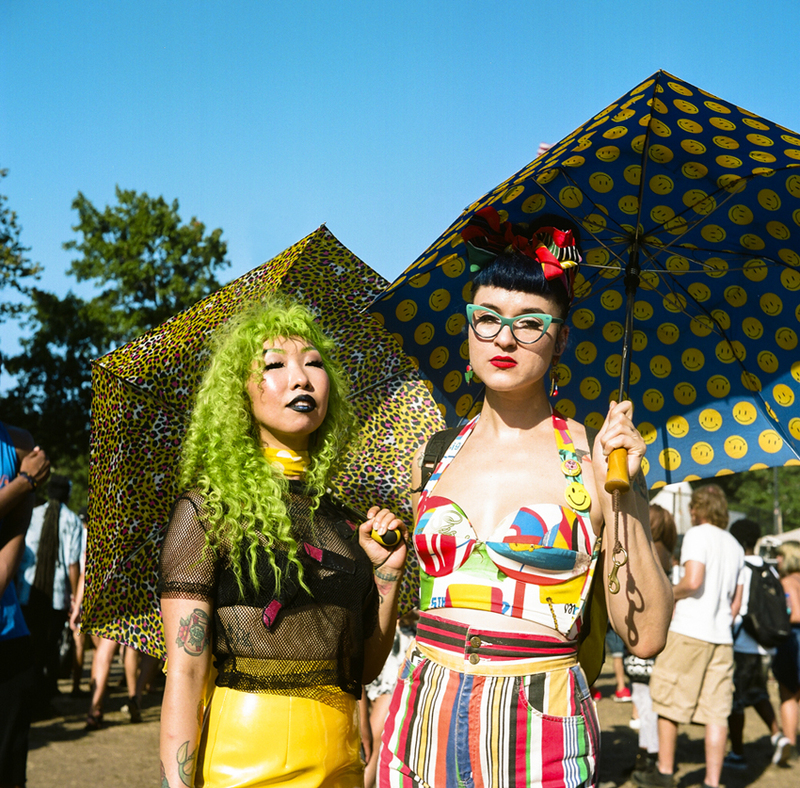 I shot 5 rolls of Kodak Portra at 160 ASA and 3 rolls of 400 speed. 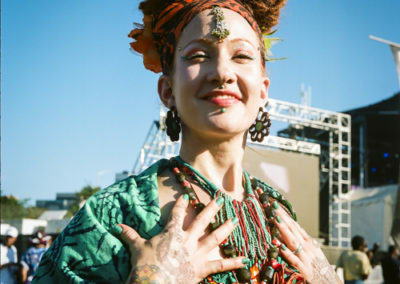 I’m happy to report I only double exposed 3 frames out of 8 rolls. 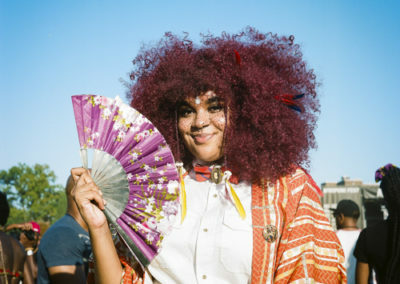 The Yaschica is not a camera to work fast with! 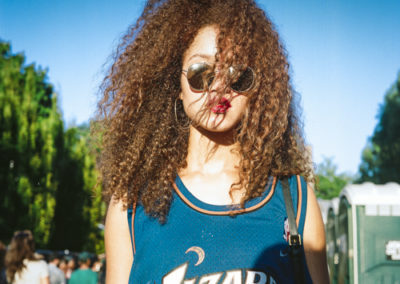 And unfortunately, after 12 frames and no where to change the roll, I may have rushed a frame or two. 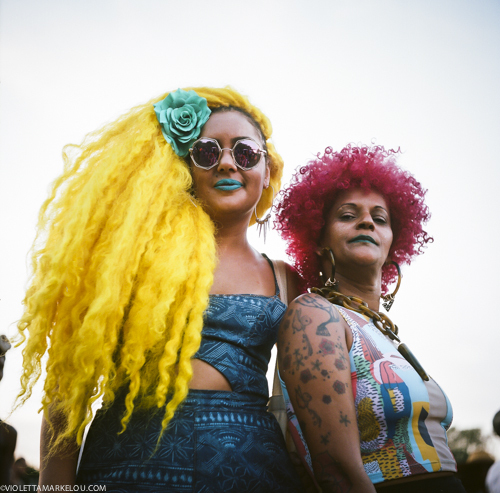 This is my second time documenting a music festival of any kind. 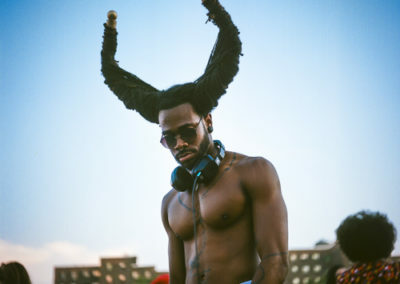 I’m a music enthusiast so it is worthwhile for me to go on multiple levels. 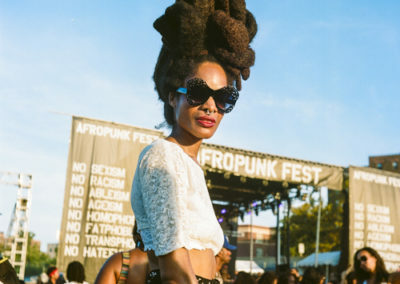 But for anyone that wants to be inspired, I would really encourage you to go and experience AfroPunk. 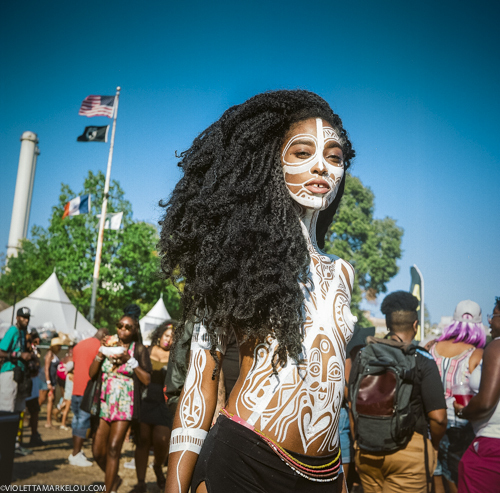 It’s a rare sight to see unity and love of culture, music and art of all kinds in one place.